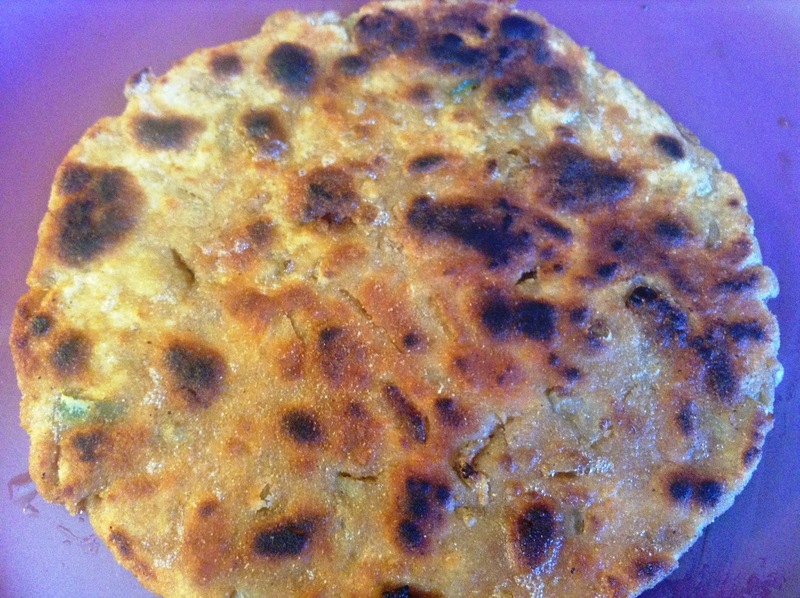 Pyaaz Paratha.. OMG drool !! every single time I see these pictures !! Because this itself is so heavenly and pleasing, with the added benefit of it being easy to make.. and with minimum ingredients.. what could be better than this !! This has been our Sunday morning breakfast for the last 3 weeks, on special demand from hubby..
Add all the spices with the wheat flour and mix really well. For best results, first add all the dried spices, mix well and add onions and green chilli. Knead the dough adding very little water carefully, so that it does not become sticky, otherwise parathas cannot be made from that dough. Make a nice dough. Pinch out small balls from the dough and roll carefully using a little dusting from the dried wheat flour. Heat the griddle/tawa on highest temperature and carefully put the rolled out paratha on the tawa. Turn after 20 seconds. Let cook completely from both sides. Ideally it is cooked evenly,just past the stage of not remaining uncooked, but we prefer a little bit burnt flavour in the same, adds to the taste (just as you could see in the pictures). This comes with experience, you might not want to burn it much, as it will spoil the entire taste. So cook it just until past the uncooked stage. Now fry both sides with butter and take out on a plate. 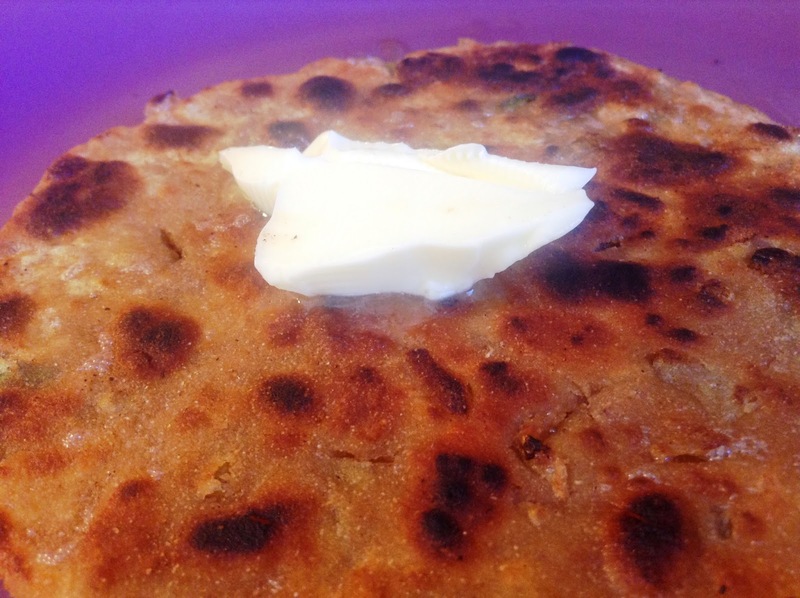 Add a dollop of butter and serve hot with any pickle/raita. Pyaaz Paratha in the process..